Al Avila: "How do you hide this?" A renewed hope often accompanies spring training down in Lakeland, Fla. each February. 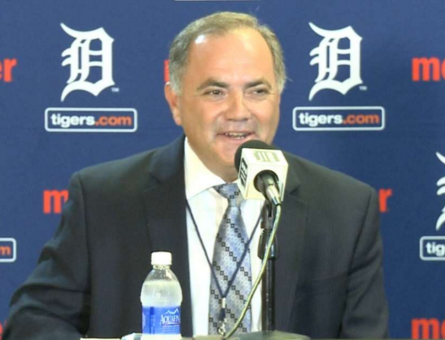 But TIgers General Manager Al Avila may have crushed any sprinklings of optimism with his blunt talk, predicting the Tigers rebuild could take several years. And that means more seasons where the best players get traded and the team ends up with a lot of starters from the Toledo Mudhens and a lot of losses. “I'm being honest,” he told reporters, “because how do you hide this? Groundhog Day is still a week away. But on Thursday, Detroit Tigers general manager Al Avila emerged from his Comerica Park office, saw Jordan Zimmermann’s shadow and declared at least two more years — but possibly four — of his team’s nuclear winter. That means you might not see this franchise get good until 2023, with the losses mounting and the jettisoning of high-priced players like Zimmermann, Nicholas Castellanos and possibly even Miguel Cabrera. It's a slow, grinding, uncertain process. Avila compared the Tigers’ rebuild to that of the Chicago White Sox, the Philadelphia Phillies and the San Diego Padres.